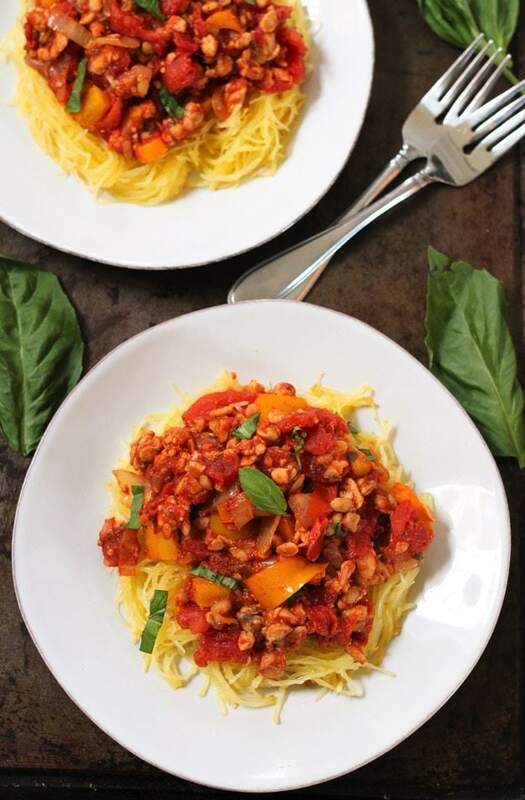 This plant-based bolognese sauce with ground tempeh is served over spaghetti squash for a hearty meal that’s easy to make, packed with protein and super healthy! Did you know that March is National Nutrition Month? 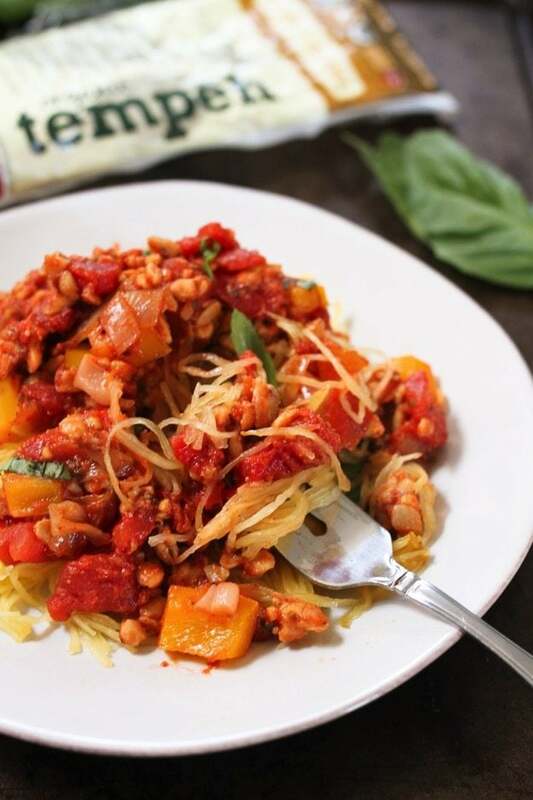 I kinda sorta feel like every month is nutrition month here on EBF, but this month I’m excited to celebrate the real thing by teaming up with Lightlife to create a crazy delicious pasta sauce with tempeh. I know I’ve shared why tempeh is healthy before, but I’m going to do it again… just as a friendly reminder. Tempeh’s firm texture and ability to absorb flavors makes it a versatile protein option that can be used in a variety of ways. See my Lemon Garlic Tempeh and this Kung Pao Tempeh for additional ideas. 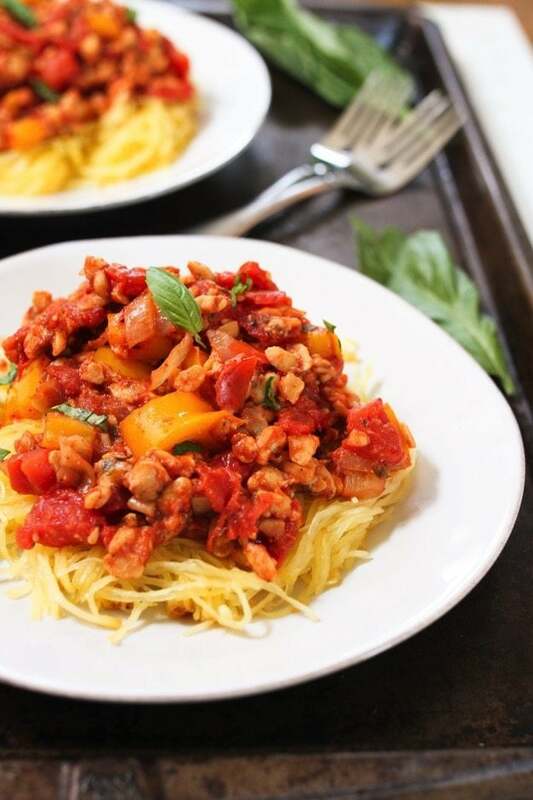 For this recipe I made a “meaty” bolognese sauce using crumbled tempeh instead of meat and it worked out perfectly! The process of making homemade pasta sauce seems a little daunting, but trust me, it’s is super simple. You only need a few ingredients and spices to make a really flavorful sauce. 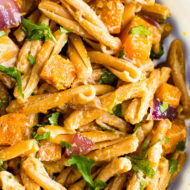 Add some protein and you’ve got yourself a nutritious sauce that can be served over any type of pasta. I used spaghetti squash here, but you can whatever pasta you have on hand. The dish reheats well too so you can make a full batch on Sunday and eat it throughout the week. That’s what I did and it worked out great. I actually think the pasta sauce tasted better on the second day after the flavors had a little time to marinate. 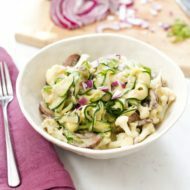 If you still haven’t joined team tempeh, I hope this recipe will inspire you to run to your nearest grocery store, pick up a package of tempeh and get cooking! Hop over to the Lightlife site for the full recipe. 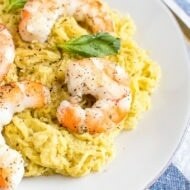 This recipe was created as part of the Lightlife Blogger Ambassador Program. 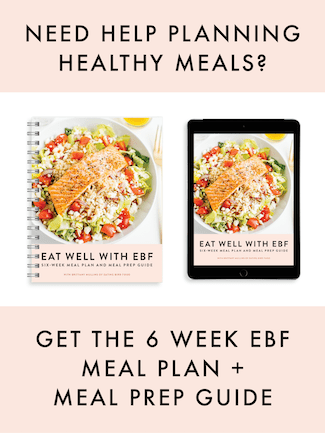 Thank you for supporting the brands that make EBF possible. I am absolutely loving this!! I eat tempeh probably 3-4 times a week because it’s just so damn good. 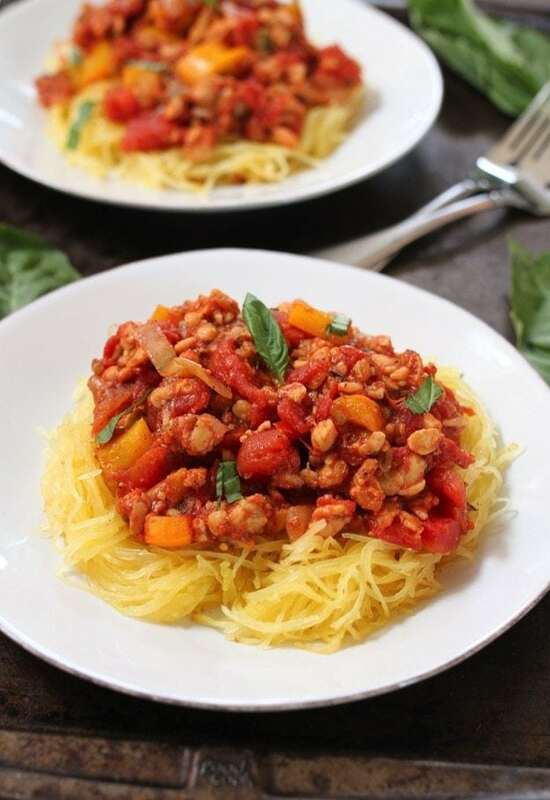 I like the idea of using it over spaghetti squash – protein and veggies FTW! I did not know that about March, but that’s awesome! 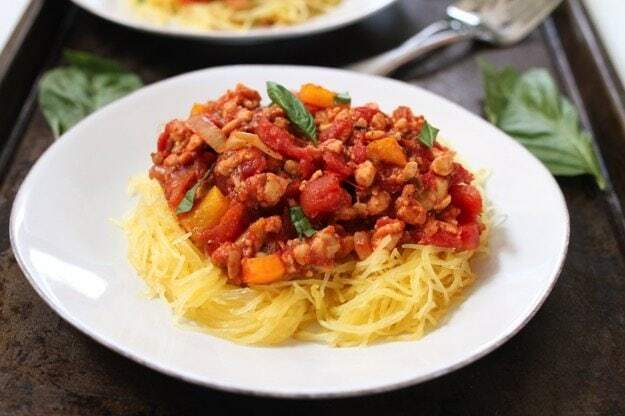 Spaghetti squash has been such a revelation to me. I love it more than regular pasta now. Talk about a win!